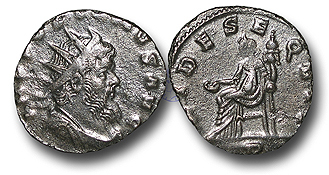 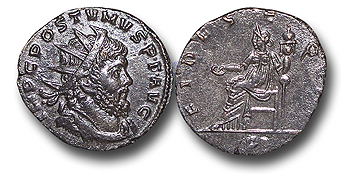 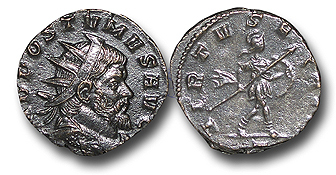 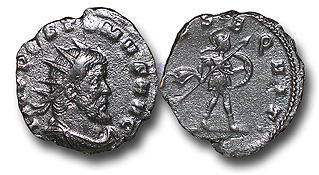 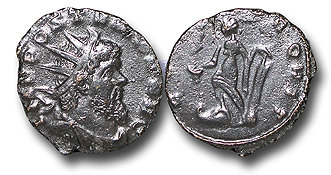 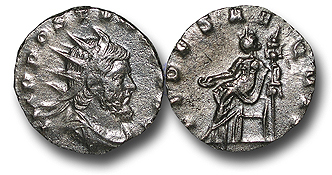 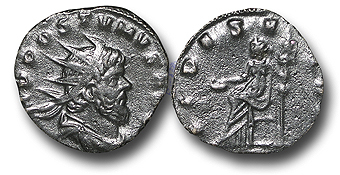 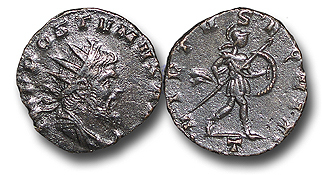 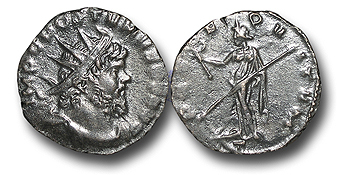 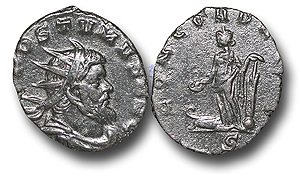 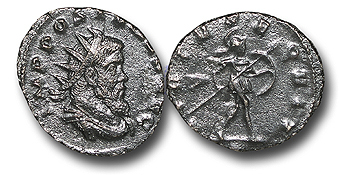 This issue has been attributed on stylistic grounds to the mint at Milan, which is understood to have been loyal to Gallienus and was not part of Postumus's separatist empire. 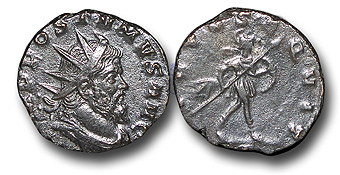 In attempting to explain this anomaly, Alföldi suggested the idea that the local military commander Aureolus switched allegiances and threw in his lot with Postumus and began to strike coins at Milan in his new masters name. 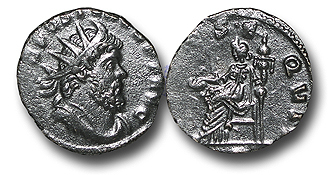 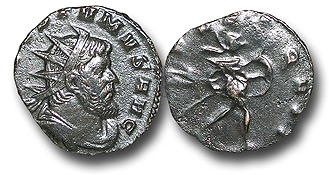 Despite his control of Northern Italy and the great city of Milan, Aureolus was a cautious rebel and seems to have been reluctant enough not to strike coins in his own name.